During the Mike Riley tenure the phrase “running back by committee” is now met with a grimace. 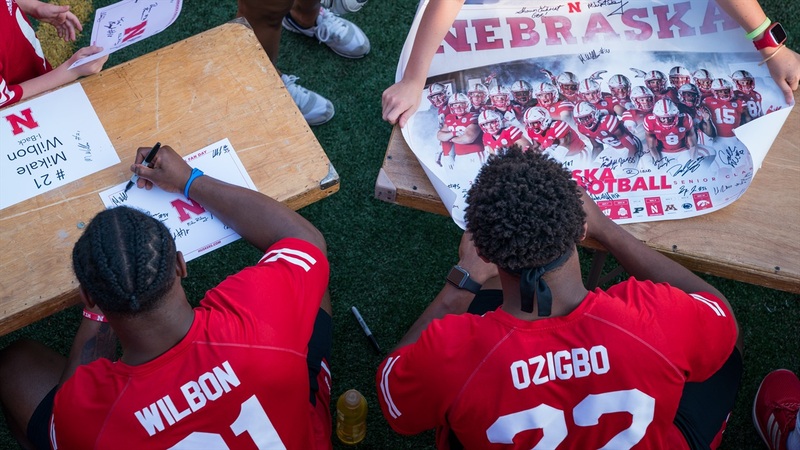 Last season, Terrell Newby, Tommy Armstrong, Devine Ozigbo, Tre Bryant and Mikale Wilbon all got carries with Newby and Armstrong seeing the lion’s share. This year with Newby and Armstrong gone the picture has not gotten any clearer through two weeks of fall camp and an entire spring. Offensive coordinator Danny Langsdorf said during fall camp that the team doesn’t necessarily want another running back-by-committee situation and running backs coach Reggie Davis echoed those sentiments yesterday after practice. “There’s somebody that can do it, we’ve just got to see them do it. Separate. String great practices together,” Davis said. “We need consistency. A consistent running game will be needed in 2017 even if you believe the passing game will be special with Tanner Lee at the helm. Typically that need rears its head down the stretch of close games in conference play. There is a positive side to having multiple running backs that are trusted to carry the football. Just ask the quarterback. The running back group does seem to be a tight knit group that is taking the competition in stride. Wilbon was asked to explain what about his game would put himself above the others and he politely declined to answer, but he did have thoughts about the nature of the competition. Husker fans are hungry to see someone take the reins of the running back spot and run with it. The coaches seem to feel the same. All of the running backs in the mix right now have skills that make them attractive candidates. With Bryant slowed by a knee injury, that opens the door for the other players competing to show the type of consistency the coaches are looking for in a still wide open race to be the featured back in 2017.